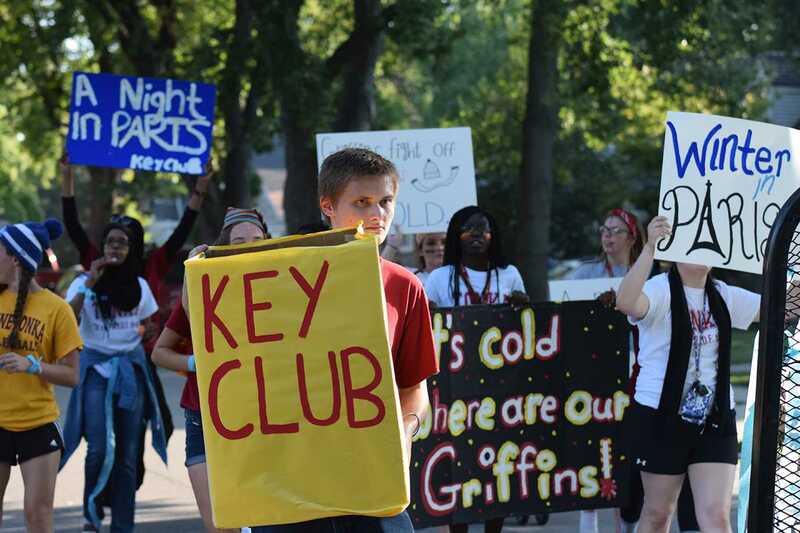 Junior Jerry Keeney walking in the homecoming parade with Key Club on Sept. 23. What does Key Club do? Key Club gives the school a way to help out the immediate community and get involved ina way that benefits everybody. They have just started their thirst project, which raises awareness about the water crisis and funds the building of wells in Swaziland. They also have yearly projects such as Trick-Or-Treat for UNICEF which raises money for the fight against neonatal tetanus. What is the strangest/weirdest thing that has happened? “On our officers retreat when Katie tried to high kick the ceiling and the rug fell out from under her and she body slammed the floor,” junior Hannah Hernandez said.